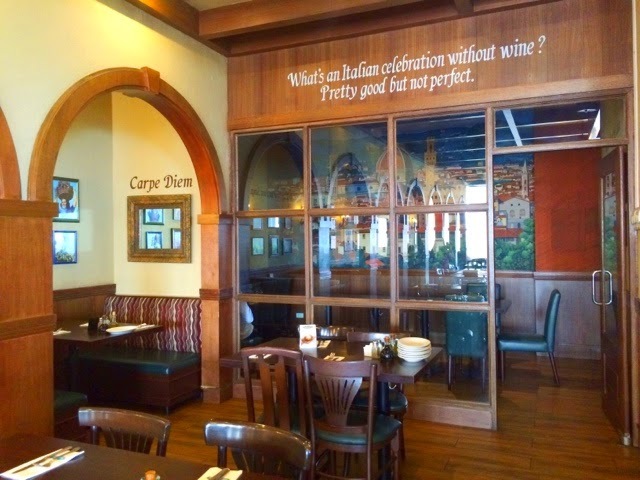 Italianni's has been pretty special to my family, as each time my brother comes home from Ireland and feel to dine somewhere, we end up being in this restaurant so we kinda have a lot of memories here. I've also dated a couple or more instances here because I like the ambiance. 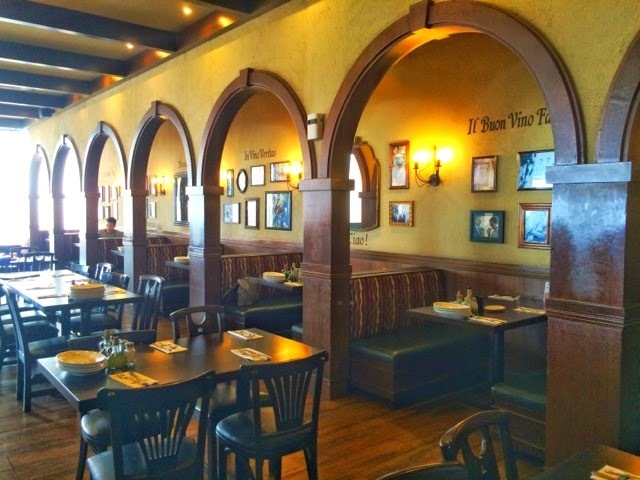 It's non constricting, not too formal, but you get the classy food and comfy tables that go with it. Also, the food is delish! I mean, who doesn't love Italian food right? The place can accommodate 80-100 people. Their walls are lined with murals reminiscent of the Italian countryside, hardwood exposed beams, wrought iron chandeliers and garden vine configurations on the window treatments. These are usually seen in Florence, Venice, Rome, or some places like that. 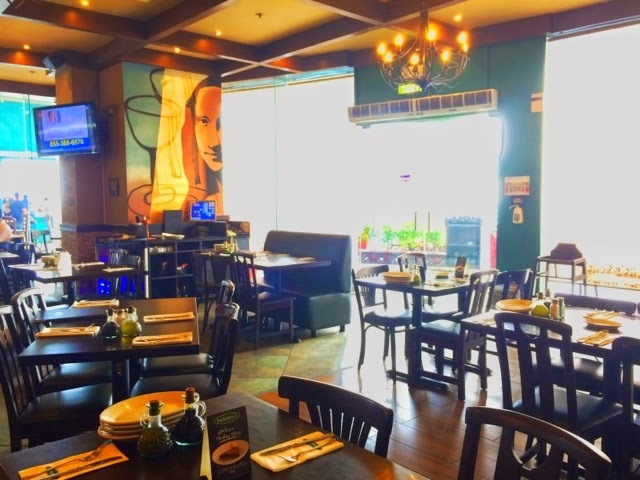 I also like the group tables that would be able to accommodate a family or two especially the one on the private room at the restaurant's left part. 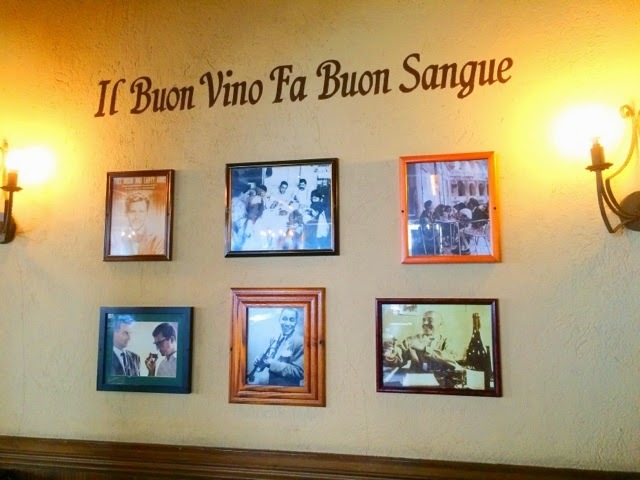 You get to feel you're in Italy even for a while and sit in warm colors all throughout the restaurant. 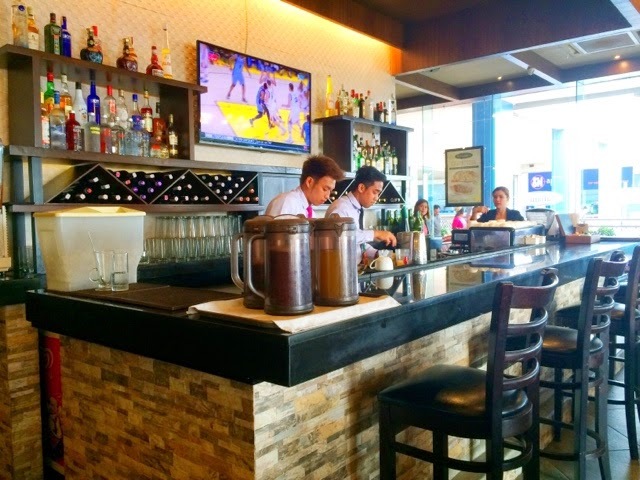 They also have a bar which can whip up mixed drinks, good wine and espresso coffee too. 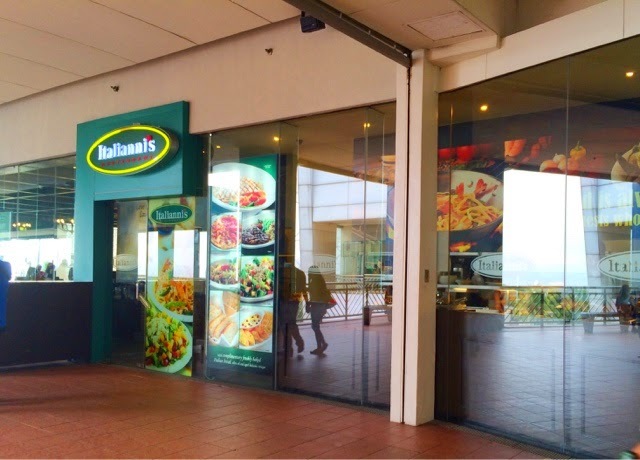 The restaurant also sits on the back part of MOA facing the MOA Eye and the gorgeous Manila Bay. They close it out with shades in the afternoon so you won't feel the heat. We tried their new "Shareable Combos" that only costs Php 945.00. 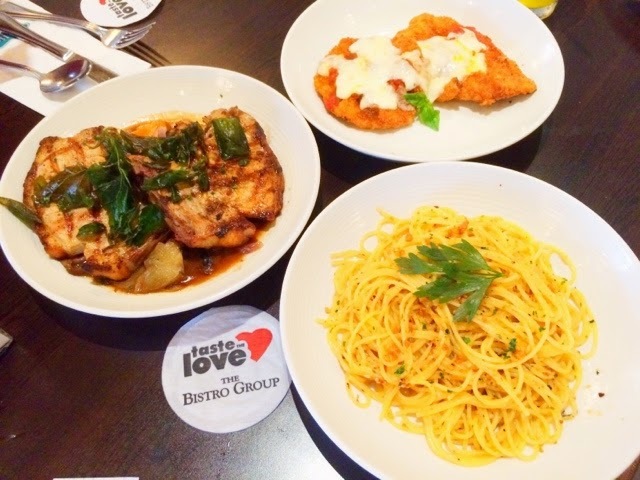 You practically are saving around Php 520.00 in these combo meals and it's intended for 2-3 people. Their servings are huge so if you're just out for lunch with a group of friends, this is definitely something that you could consider. This first one is called the Ribs and Fish Combo. The fish is local, it's Tilapia and you would probably mistake it for cream dory. 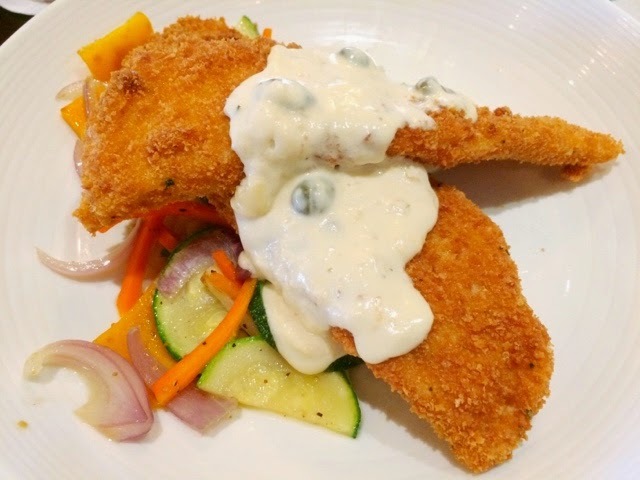 It's topped with a velvety Caper Cream Sauce so you get something a bit salty with the bland fish. 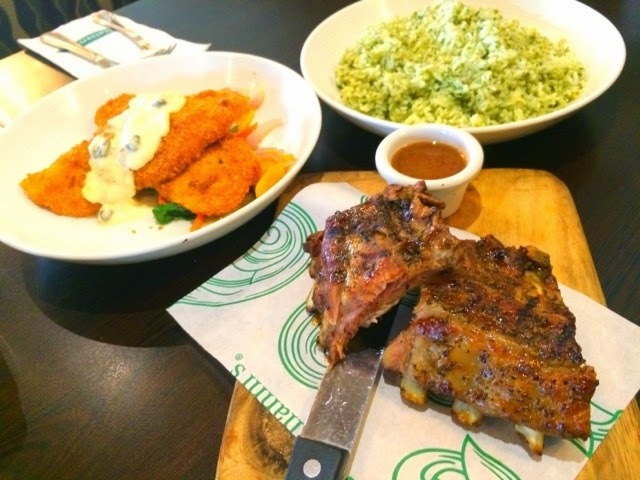 They've got Pesto Rice with this too so you won't feel shortchanged when having this meal. After all, it's a Filipino staple. 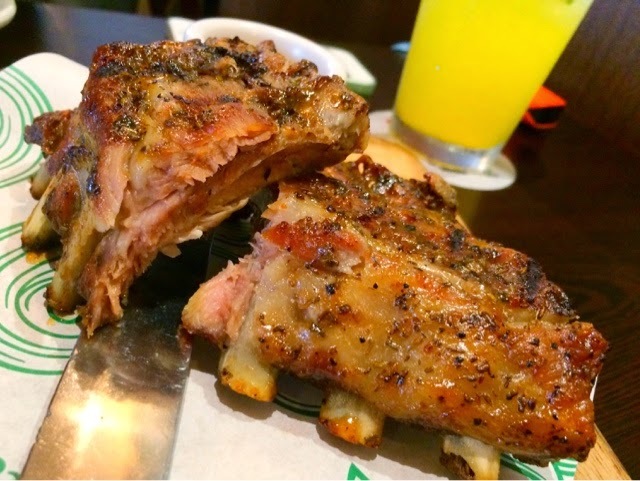 I also super duper love the Half Rack Baby Back Ribs which further intensifies when you put the paired steak sauce with it. They have their own home made marinade for the ribs and the sauce felt like it has some fruits it in. It's savory and sweet which makes it totally a hit! This other shareable portion is called Pork and Chicken Combo. 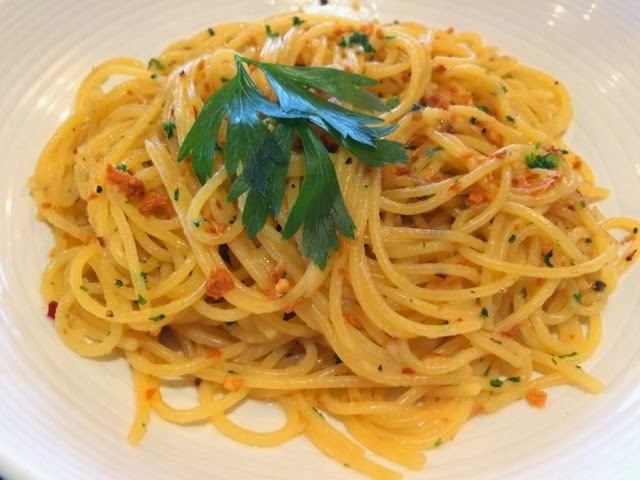 It's got a pasta dish called Aglio Olio, which is like spaghettini in chili and garlic oil. 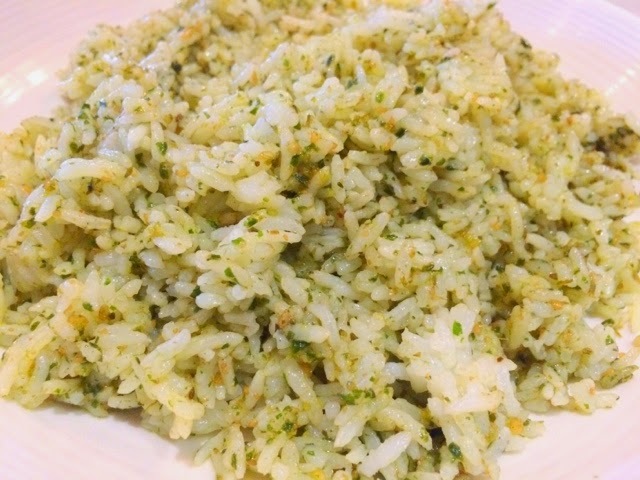 Their version is intensely garlicky, so it's not a good date food. Well actually you can, as long as you both eat it and have mints after. 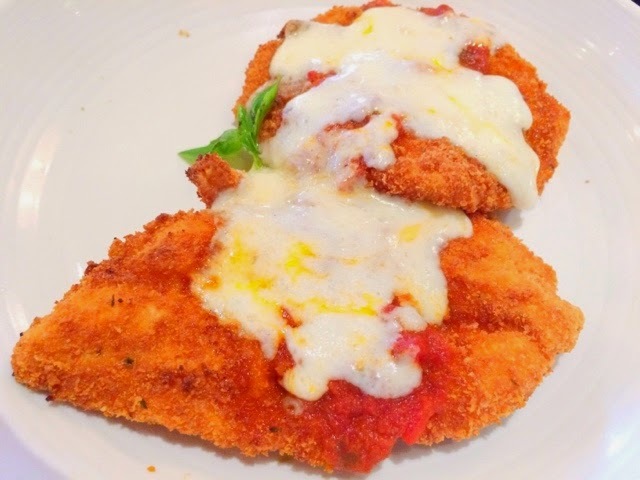 The next one was Chicken Parmegiana, which is fried chicken breast topped with a little tomato sauce, basil and mozzarella cheese. This would be something for the kids. it's crunchy and cheesy, not too tangy. It's just right. 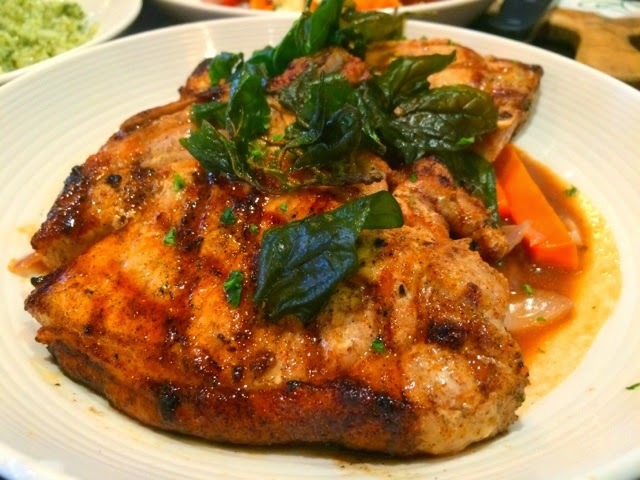 Then they also have two large Real Pork Chops with gravy which was surprisingly soft despite its size. The gravy was nice too. They said it's got a chicken base and several aromatics, onions, carrots and potatoes with it. Really filling and can feed 3 grown men. We didn't even get to finish the chops actually. Aside from these deals, they're giving away small gift cards this Sunday because it's Mothers Day. 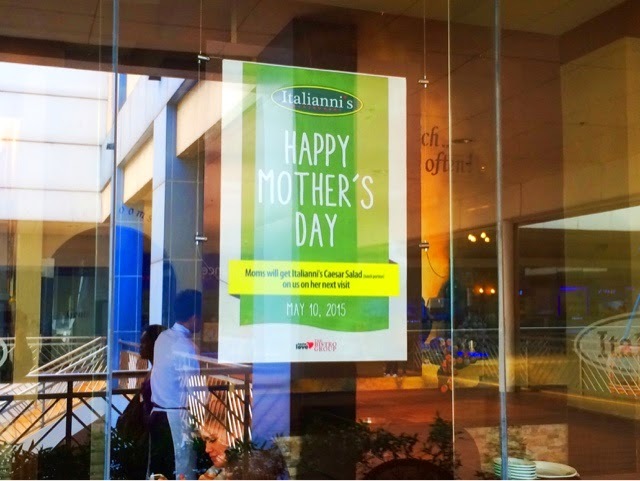 This will get your Mom another reason to go back to Italianni's for a FREE Caesar Salad. Remember, it will be only available this Mothers Day so pleas come to Mall of Asia this weekend!